We’ve had a little DIY mini-series going this month, so hopefully, you’re enjoying the recipes! Hopefully, you’re seeing how easy and simple it can be to create nontoxic recipes with the stuff you already have lying around the house. And by making these things yourself, you not only save money in your wallet, but you protect your body from unnecessary hormone-mimicking substances and other liver-loading toxins. 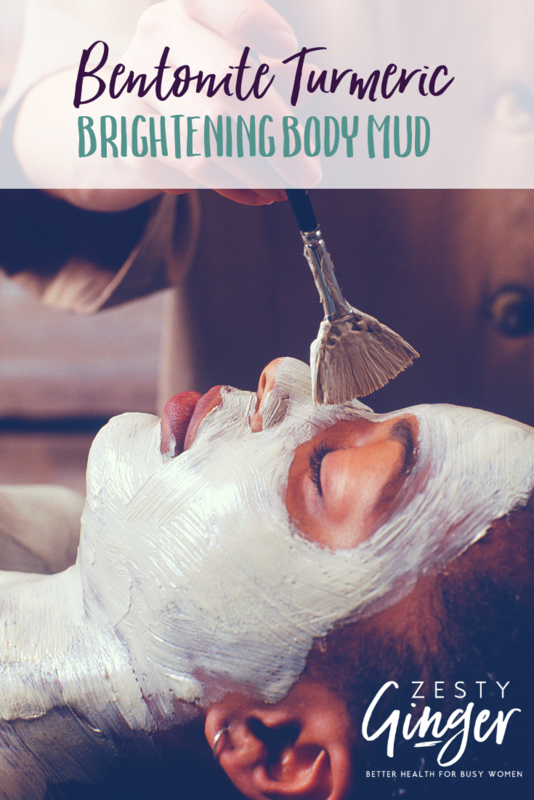 The final recipe I’ll share in this series is a Bentonite Turmeric Brightening Body Mud. I used it to perk up my facial skin it was much needed…but I also used it to detox the skin ALL OVER my body. I made sure to apply it to areas that have a lot of sweat glands, such as armpits and the bottom of my feet. I actually did this while I was sitting in the bath to not make a mess, plus my pores were already open, which made it easier for the mask to pull out toxins. 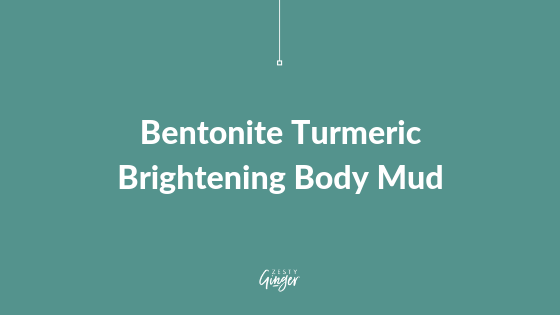 Combine the bentonite clay and turmeric into a glass jar or mixing bowl. Stir until well combined. Start adding in your liquid of choice a little bit at a time and stirring well. You’ll want to keep adding liquid and stirring until you’ve made a smooth mud consistency. Apply it with your fingers or a fanned makeup brush and leave on for 10-12 minutes. Then rinse off with warm water and apply your usual moisturiser.